The University of Maine at Presque Isle will host Dr. Michael Herzfeld, the Ernest E. Monrad Professor of the Social Sciences in the Department of Anthropology at Harvard University, as the first guest speaker in its 2018-2019 Distinguished Lecturer Series on Wednesday, Sept. 26 at 7 p.m. in the Campus Center. During his talk, titled Overcoming Cultural Difference: Living the Lives of Strangers, Dr. Herzfeld will explain how, when it comes to understanding cultural differences, there’s nothing to compare with living the lives, and inhabiting the places, of people from radically different backgrounds. He’ll explore how anthropologists do this and how it can lead to vastly improved inter-cultural understanding. The event is free and the public is encouraged to attend. Dr. Herzfeld earned his Bachelor’s degree in Archaeology and Anthropology from the University of Cambridge in 1969. He received his Master’s degree from the University of Birmingham in Modern Greek Studies in 1972, and his Doctorate in Social Anthropology from Oxford University in 1976. Before teaching at Harvard University, he taught at Vassar College and Indiana University. 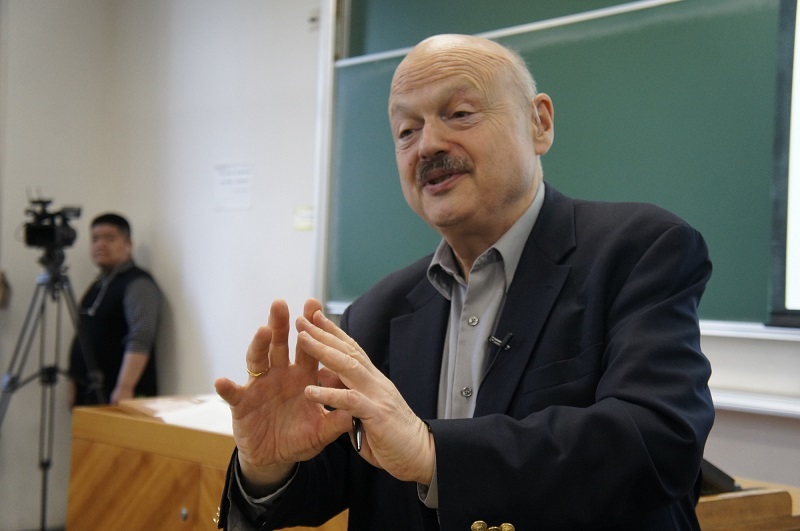 He also has taught as a visiting professor at various universities around the world, such as the University of Melbourne, University of Sydney, University of Adelaide, and at the Université de Paris-X (Nanterre). In addition to his teaching duties at Harvard, Dr. Herzfeld serves as the Director of the Thai Studies Program, Asia Center. He has authored many books, such as Ours Once More: Folklore, Ideology, and the Making of Modern Greece (1982), The Poetics of Manhood: Contest and Identity in a Cretan Mountain Village, Anthropology through the Looking-Glass: Critical Ethnography in the Margins of Europe (1987), Portrait of a Greek Imagination: An Ethnographic Biography of Andreas Nenedakis (1997), and Anthropology: Theoretical Practice in Culture and Society (2001). He also filmed and produced Monti Moments: Men’s Memories in the Heart of Rome (2007). A past president of both the Modern Greek Studies Association and the Society for the Anthropology of Europe, he was editor of American Ethnologist during 1994-98 and is now Editor-at-Large with specific responsibility for the feature “Polyglot Perspectives” in Anthropological Quarterly. He serves on numerous other editorial boards and is currently co-editor of New Anthropologies of Europe (Indiana University Press). Herzfeld’s field research has been funded by the National Endowment for the Humanities, the John Simon Guggenheim Memorial Foundation, the National Science Foundation, the Wenner-Gren Foundation, the American Philosophical Society, the Spencer Foundation, and the American Council of Learned Societies. He was a co-winner of the Chicago Folklore Prize for 1981. He has also been awarded the J.B. Donne Prize on the Anthropology of Art (1989) and the Rivers Memorial Medal (1994) (both by the Royal Anthropological Institute, London), and the J.I. Staley Prize (by the School of American Research, 1994). 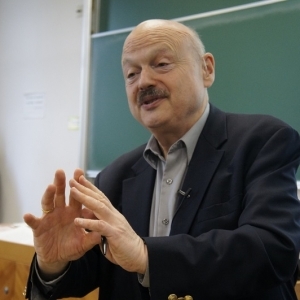 In 1997, Herzfeld was elected a Fellow of the American Academy of Arts and Sciences. UMPI welcomes the campus and community to hear Dr. Herzfeld speak on Sept. 26. For more information about this event, contact the University’s Community and Media Relations Office at 207-768-9452 or email umpi@maine.edu.